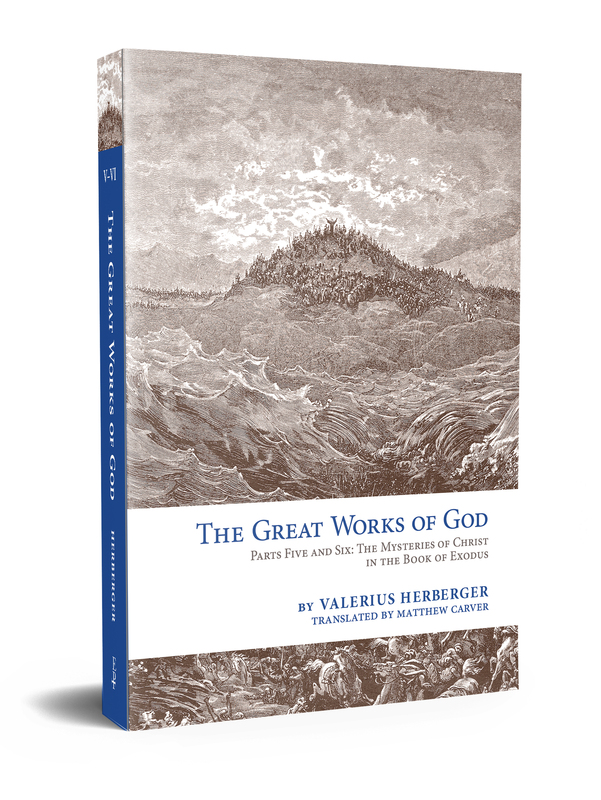 In The Great Works of God, Parts Five and Six: The Mysteries of Christ in the Book of Exodus, Valerius Herberger shows that Jesus Christ is the center of every part of Scripture. The excerpt below is Meditation 47 (Part 5) in its entirety. XLVII. JESUS, The Mediator, Places Himself Between Pharaoh and the Israelites (Exod. 14:19–20). Moses said, “The Angel of God which went before the camp of Israel stood with the pillar of cloud between the camp of the Egyptians and the camp of the Israelites.” Above He was called “the LORD” (Exod. 13:21). Moses says the same thing again here in Exodus 14:24. Now then, if it is Jehovah (“the LORD”), it cannot be a created angel. But if it is the Angel of God, then it can be neither the Father nor the Holy Spirit, and must be “the Angel of the covenant” (Mal. 3:1), our Lord Jesus, as also the ancient Doctors of the Church and our own professors have proven from St. Paul. O Lord Jesus, how comforting this is! When Moses sighed and the Israelites wept, You clearly demonstrated that You were alive, as Job 19:25 says, that You heard it, and that it stirred Your heart. And since the Israelites could not make very quick progress, You camped in their midst all night so that Pharaoh would be unable to gain power over them before they had traveled a good way into the Red Sea and escaped his wrath. You are the Angel which encamps round about the God-fearing (Ps. 34:7), like Elisha (2 Kings 6:17). You are a wall of fire round about Your people (Zech. 2:5). You are “the Angel which redeemed Jacob from all evil” (Gen. 48:16). Oh, how beautifully Your comforting office of Mediator is depicted to me here! O Lord Jesus, dear Mediator (1 Tim. 2:5), when the fierce wrath of Your Father burned against me, You stood between us so that the fiery wrath of Your Father would not consume me.